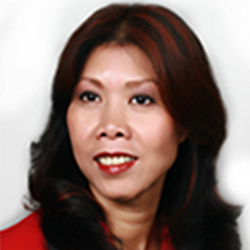 Mortgage Architects would like to announce the recent appointment of Huyen Cathy Le as a Mortgage Architects Lead Planner in Montreal, Quebec. Cathy cited Mortgage Architect's industry leading tools and offerings as key reasons for joining. Cathy joins Mortgage Architects from National Bank where she was a mortgage specialist for 7 years. She is proud to join the team at Mortgage Architects - her decision to join Mortgage Architects stems from her belief that MA has the best offerings as compared to other mortgage firms. "I am excited to become part of this professional and dedicated team." "I chose to join Mortgage Architects as I believe this brokerage is best equipped to guide their agents and help me achieve my key goals of client servicing and future growth. I am excited to become part of this professional and dedicated team."